Chosen by our experts, loved by you. Our most popular waterproof vinyl look, wood look planks are an incredibly durable alternative to natural hardwood floors. 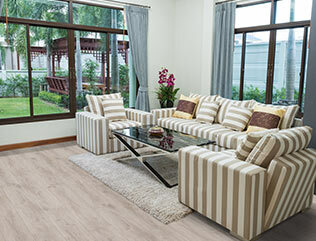 Unlike traditional wood floors, these planks are easy to install and a breeze to maintain. Browse through our gorgeous and realistic looking stone look waterproof vinyl options. 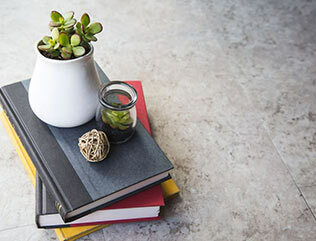 Unlike natural stone floors, these tiles never need to be sealed and are low maintenance. 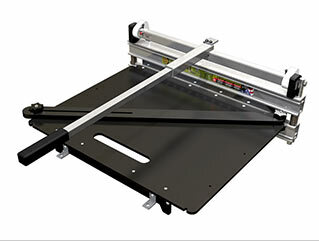 Save installation time and money by choosing a two-in-one product. You can rest assured that you are shopping quality, by going with these trusted brand name products. 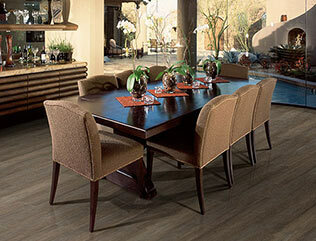 Browse our wide selection of trustworthy waterproof vinyl flooring options. Order free samples to compare products in your own hands. Let us help you find your dream floors to complete your perfect space. 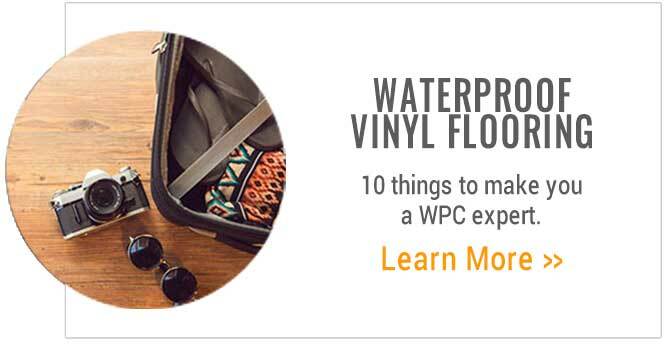 By now you may have heard about the industry changing WPC vinyl flooring. 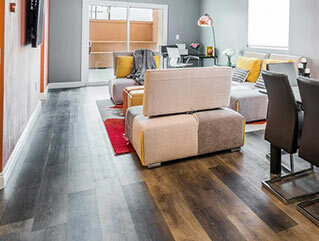 Flooring experts often refer to it as “the future of flooring”, and for good reason. 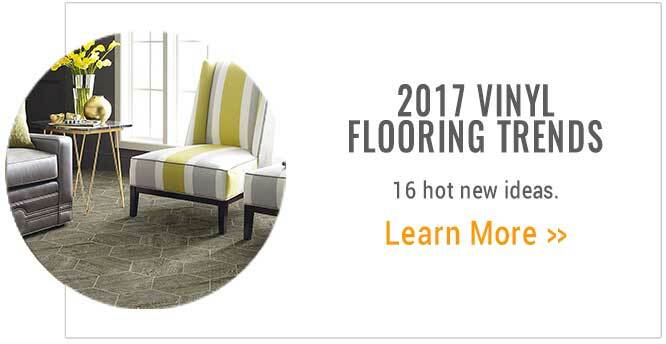 This new vinyl category is changing the way consumers buy flooring, where they install it, and it is only going to continue to grow and increase popularity in the coming years. 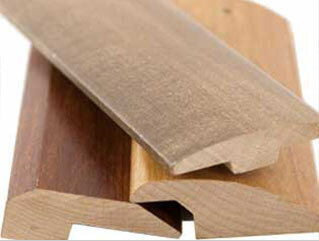 WPC stands for Wood Plastic Composite and is often abbreviated for Waterproof Core. 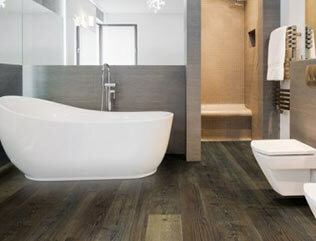 WPC flooring is 100% waterproof, with attractive visuals and a low maintenance routine you are sure to love. 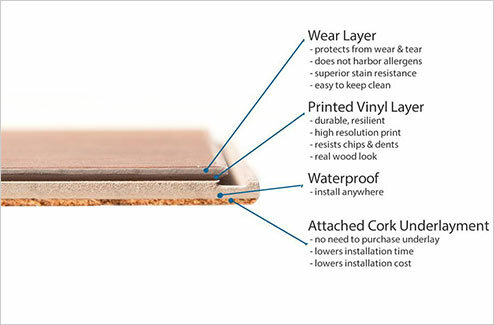 It is essentially luxury vinyl flooring amped up a notch with a special waterproof core that makes it perfect for any room in the house. 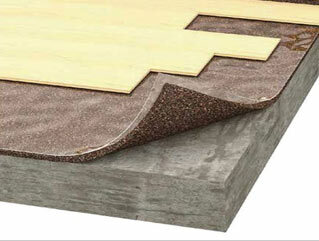 This makes it the best of the best of the flooring world. More resilient than tile. 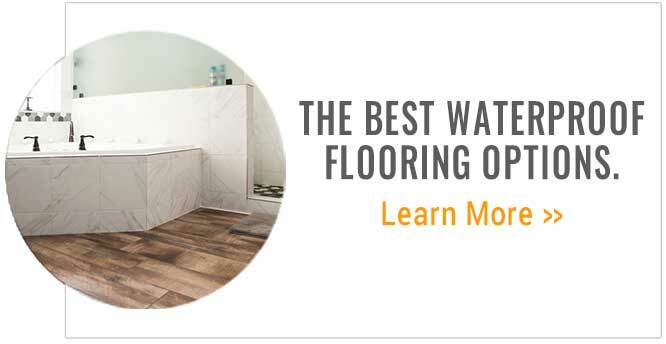 It’s true, you could just get a wood or stone look tile and it would also be waterproof. But tile is hard. Standing on a tile floor all day isn’t great for your joints or feet. Vinyl is more resilient and much more comfortable.